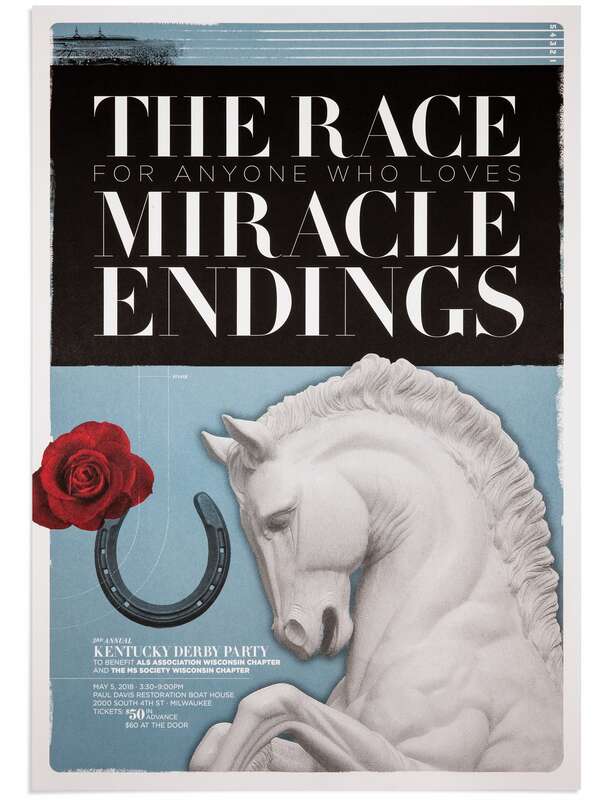 In the race to discover cures for ALS and Multiple Sclerosis, two diseases that continue to claim lives, the racing spectacle of the Kentucky Derby is an ideal event for annual fundraising. To help make an impact each year, Traction Factory develops a striking poster to get the word out on a limited budget, and to reach people who are outside of the local chapters’ personal and social networks. The race is brief. Hopefully, so is the time remaining until we find a cure. A sense of urgency, fused with a sense of hope. 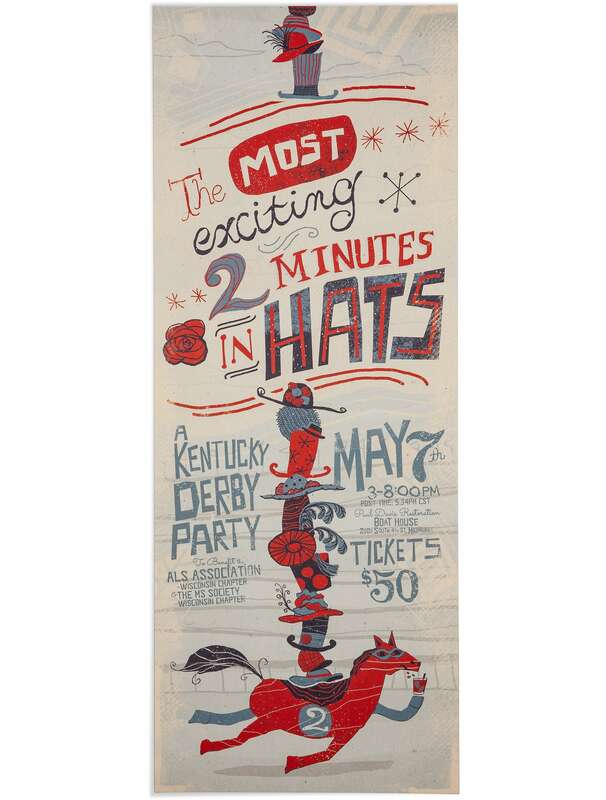 We hung our hats on one of the most recognizable elements of the event. 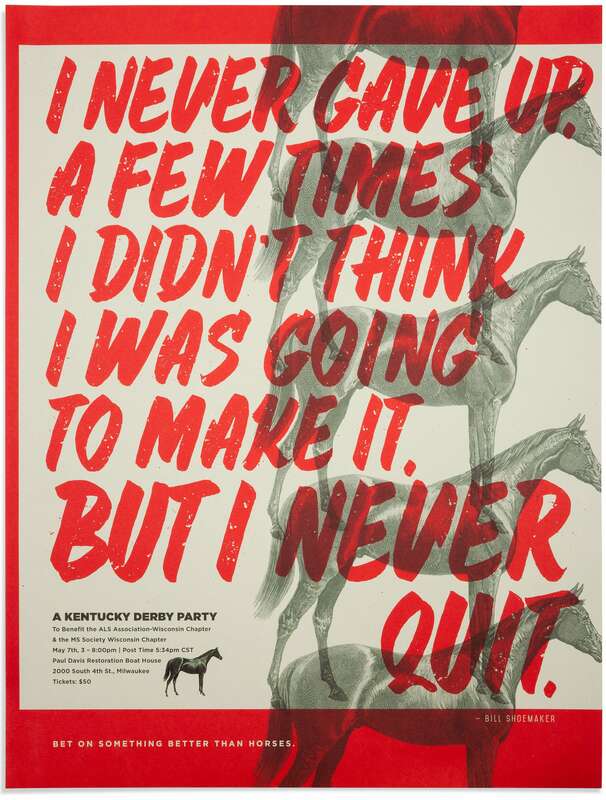 Utilizing a fitting quote from horse racing’s most celebrated jockey of all-time. 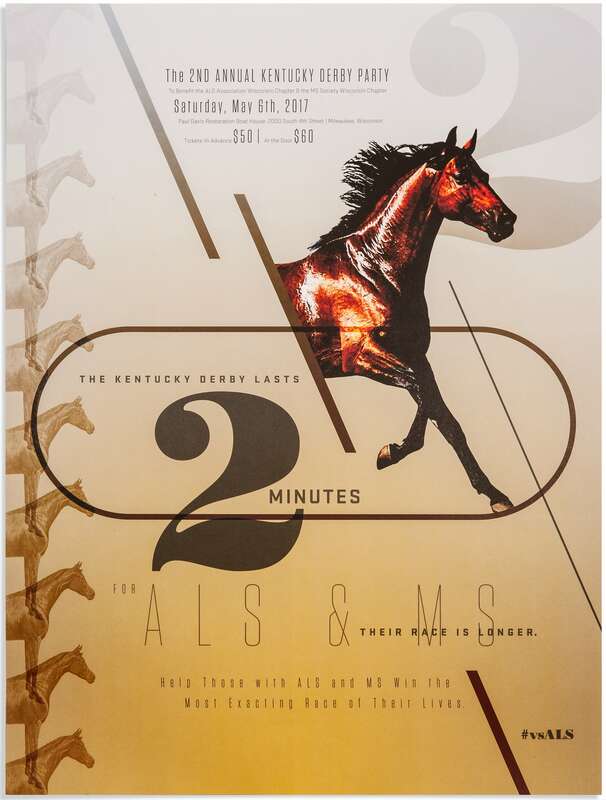 In addition to broadening awareness for the local ALS and Multiple Sclerosis chapters, driving hundreds of people to the event and helping raise thousands of dollars each year, the posters have received praise and recognition from panels of award show judges. "Miracle Endings" was awarded a Gold Award in Graphis' Advertising 2019 annual, while “2 Minutes” has the distinction of winning the top Platinum Award in FOUR SEPARATE Graphis publications: Advertising 2018, Typography 4: Type in Use collection, Poster 2019 and Design 2019. It is the first and only piece to accomplish this feat in Graphis’ 75-year history. “Each competition was scored by a different panel of judges, so this is truly impressive,” said B. Martin Pedersen, Publisher and Creative Director of Graphis, Inc.